Hello! 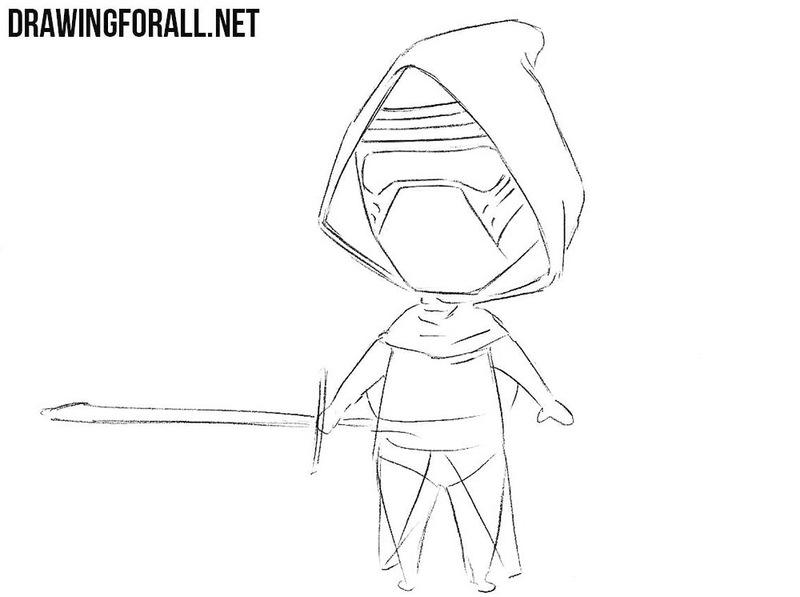 We prepared a new drawing tutorial about how to draw Chibi Kylo Ren. He is an ambiguous character for many people. They say that he is not charismatic enough to be the main villain of Star Wars. But we think that Kylo Ren is a very memorable and bright character. 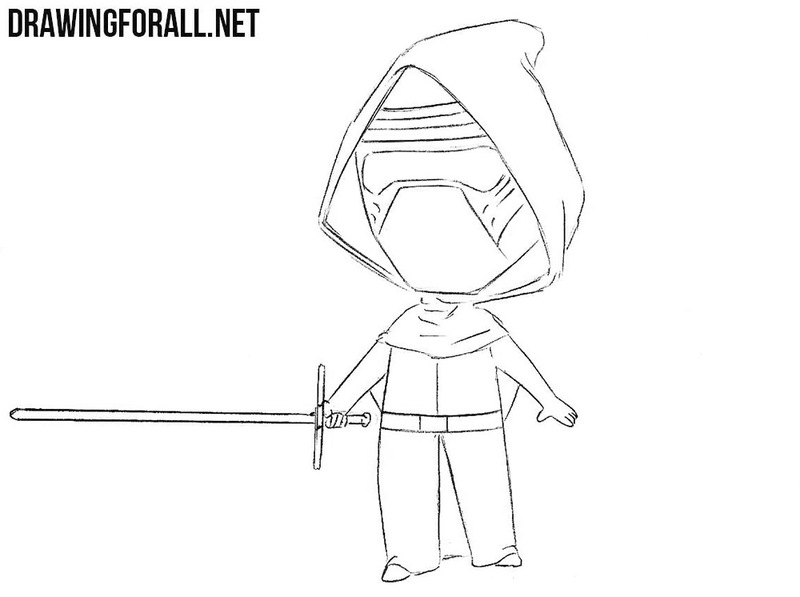 So we did this drawing lesson to draw Kylo Ren in Chibi style. 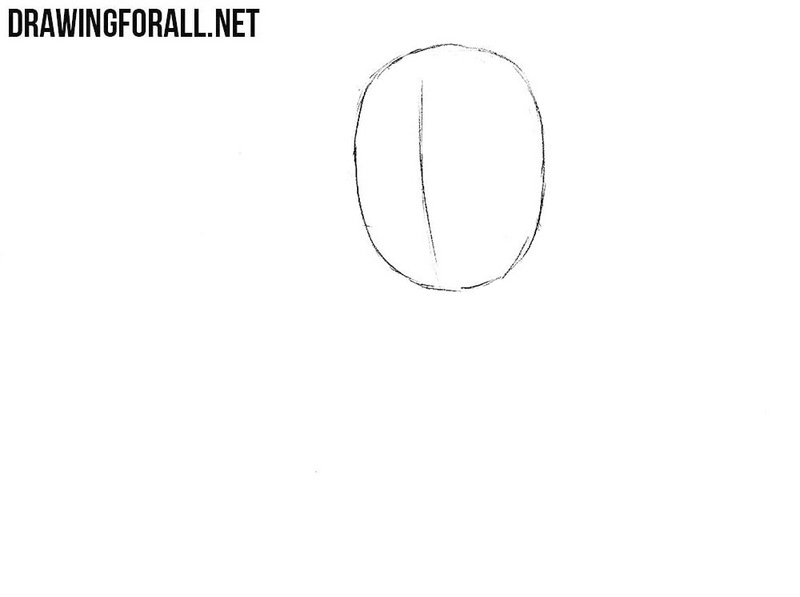 First we will draw the head. Also in this step we draw a vertical line inside the face’s contour. In the next steps we will erase this line but now it is very important. 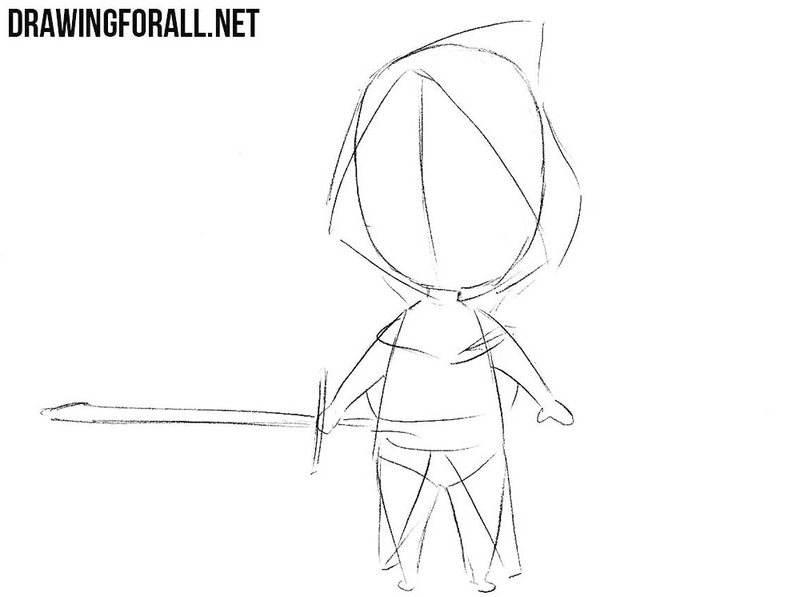 Now with the help of very light lines we draw the disproportionately small corpus and the disproportionately weeny arms and legs of chibi Kylo Ren. In this step we will draw the contours of the most basic details. On the head we sketch out the hood. 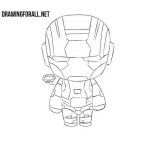 After that sketch the outlines of a mantle and lightsaber in hand. 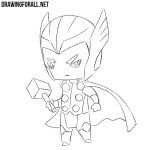 Using clear lines draw the mask. 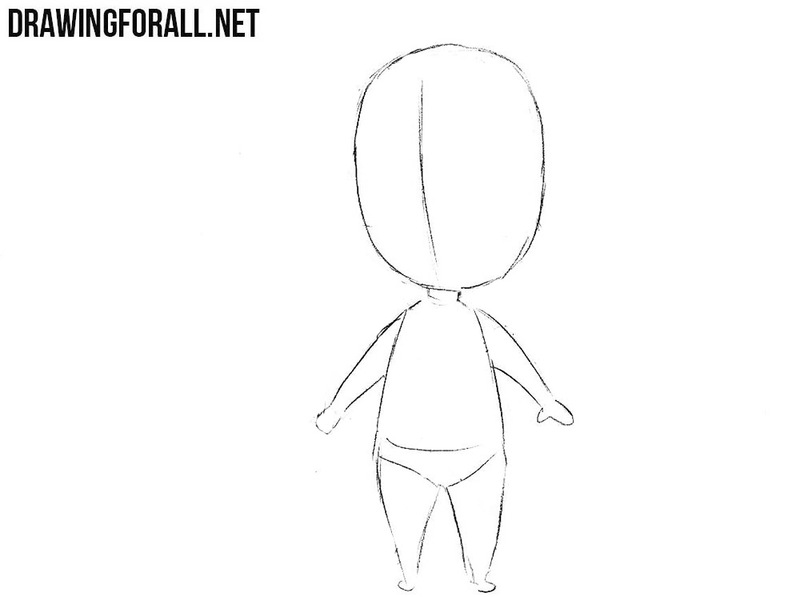 It is really hardest part of this drawing tutorial. You should focus on the vertical faceline from the first step. 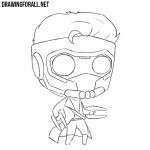 Try to draw the outer outline of the mask first. Then draw internal lines. 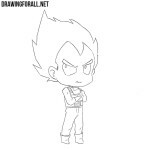 Let’s now move to the top of the chibi body, drawing out the outlines of body. Draw creases of fabric that look like horizontal lines. Do not forget to remove unnecessary guidelines from the upper body. So we have a final step of this drawing tutorial about how to draw Chibi Kylo Ren from Star Wars. Now we wil draw the lower part of the trunk and the famous lightsaber with crossing hilt. 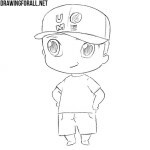 It was not very difficult drawing tutorial and we hope you get perfect result. 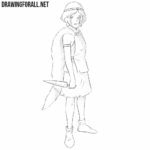 Don’t forget to read Drawingforall.net for the new drawing lessons. All the best, see you on our site!